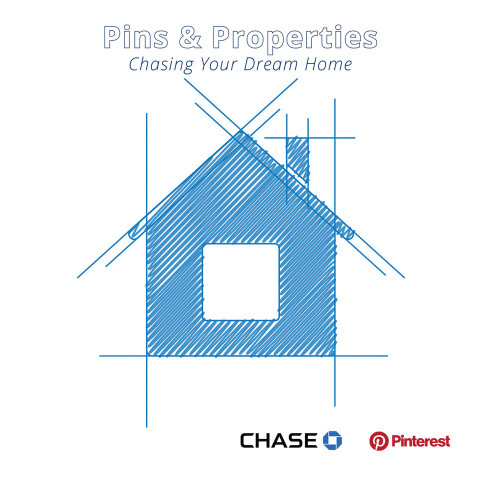 Chase Home Lending, in conjunction with Pinterest, today debuted its "Pins & Properties: Chasing Your Dream Home" report at the Pinterest New York City office, along with TV personalities, entrepreneurs and authors, Drew and Jonathan Scott. The Scott Brothers shared tips and trends for making a dream home renovation a reality. The collaboration between these powerhouse brands examined what homeowners are searching for to upgrade their starter homes. "For the second year in a row, Millennials make up the largest group of homebuyers, seeing the value of this smart investment," said Amy Bonitatibus, Chief Marketing and Communications Officer for Chase Home Lending. "And many are jumping into plans to take their fixer-uppers and turn them into their dream homes. Nearly 95 percent of the Millennials said they planned some kind of renovation in the next three years. We meet with this generation of homebuyers every day to provide expert advice on purchasing and financing improvements." Jon Kaplan, Global Head of Partnerships, Pinterest, said, "Chase and Pinterest have similar missions in helping people make their dreams a reality. The partnership between our companies on the Chase Dream Boards visual interactive experience demonstrates the way in which we're able to offer personalized recommendations that deliver unique value and guidance to potential home renovators. We're excited to continue growing our partnership with Chase and look forward to bridging the gap between inspiration and action for Chase customers." "Whether starting a long-awaited bathroom remodel, or revamping your outdoor space just in time for the summer, collaborating with a trusted advisor throughout the home renovation process is so important," said Drew Scott. "By working side-by-side with homeowners, Chase is making it easier for customers to understand how to build home equity and create the home of their dreams," said Jonathan Scott. To download the full Chase Home Lending "Pins & Properties: Chasing Your Dream Home" report, click here. Chase is the U.S. consumer and commercial banking business of JPMorgan Chase & Co. (NYSE:JPM), a leading global financial services firm with assets of $2.5 trillion and operations worldwide. Chase serves nearly half of America's households with a broad range of financial services, including personal banking, credit cards, mortgages, auto financing, investment advice, small business loans and payment processing. Customers can choose how and where they want to bank: 5,100 branches, 16,000 ATMs, mobile, online and by phone.